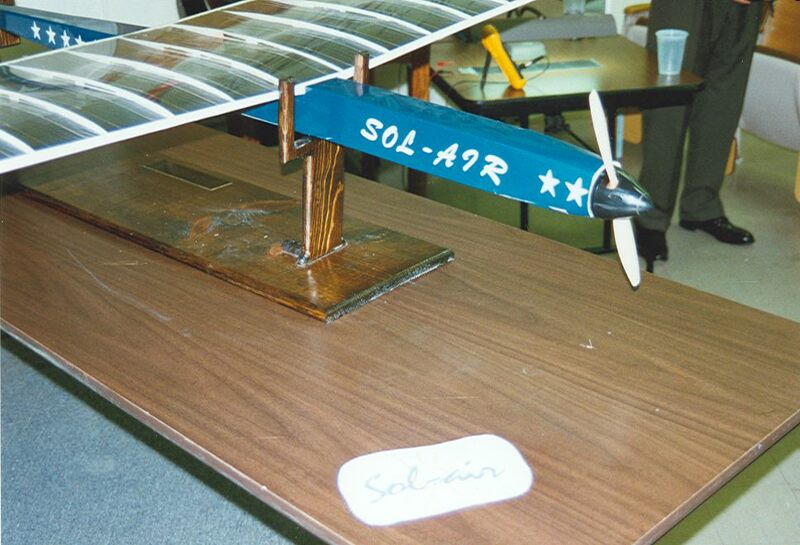 Sol-Air was designed and built in 1997 by a team of Aerospace, Mechanical, and Electrical engineering students at OSU as a project for MAE 4374 Aerospace Systems Design. 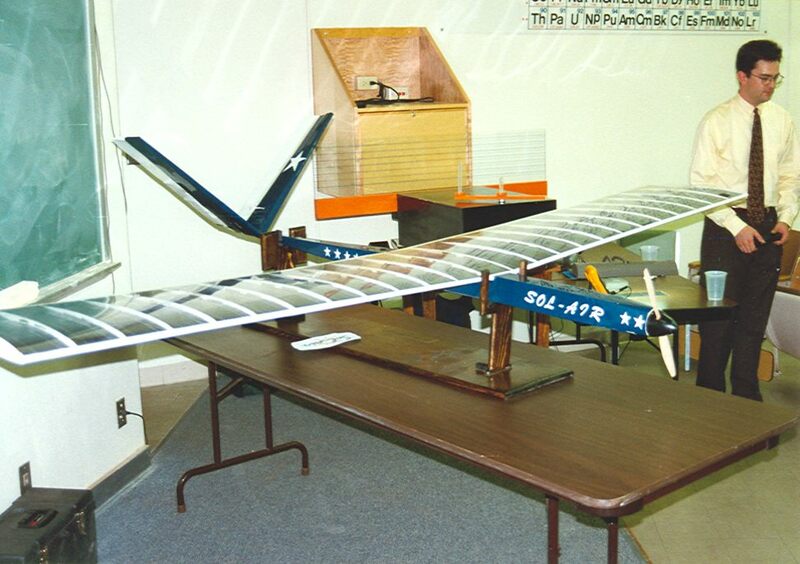 The design goal was to build an aircraft entirely powered by the sun, that could set an FAI Speed record for airplanes in its class. No storage batteries were allowed. 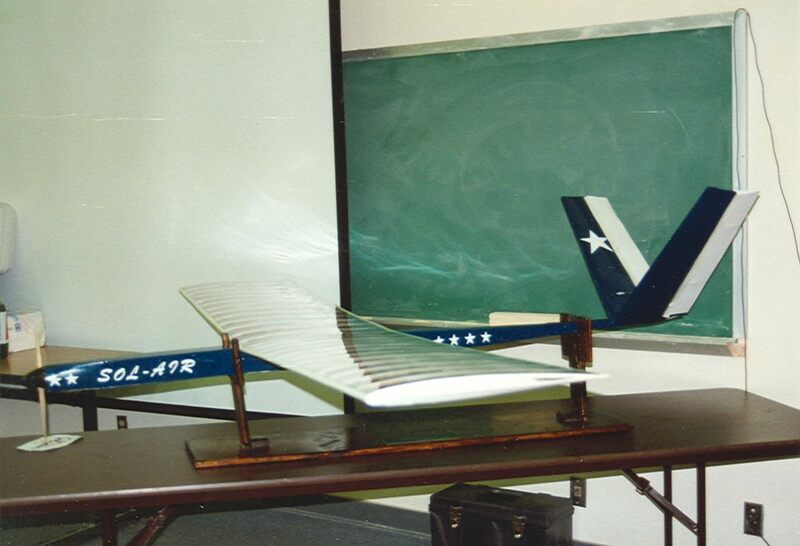 The aircraft is a "V-tail" design with a conventional fuselage, with the solar cells contained within a transparent film skin. 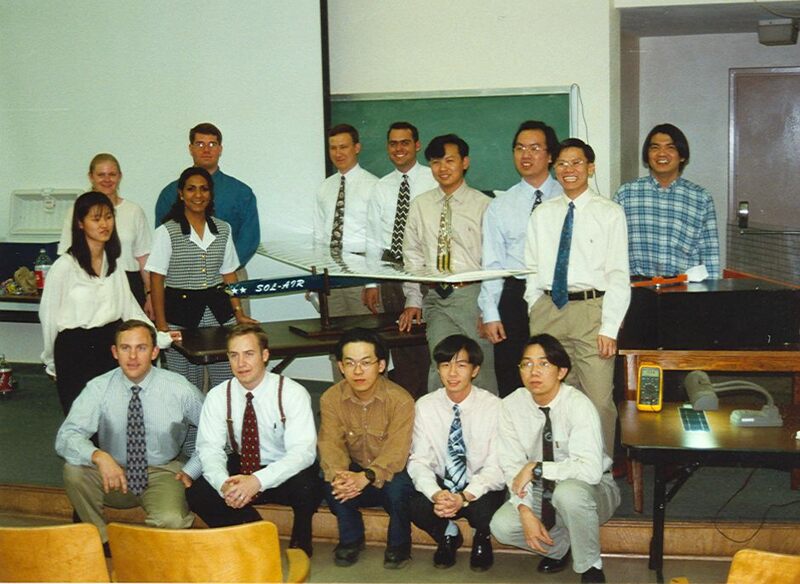 The Sol-Air Team (Team Orange) was lead by a chief engineer, and was divided into 4 technical groups: Aerodynamics/Stability and Control, Propulsion, Structures, and Systems.